The Western United States seems to get all the attention within the skiing community but maybe that’s just because New Englanders like it that way to keep the yokels away. 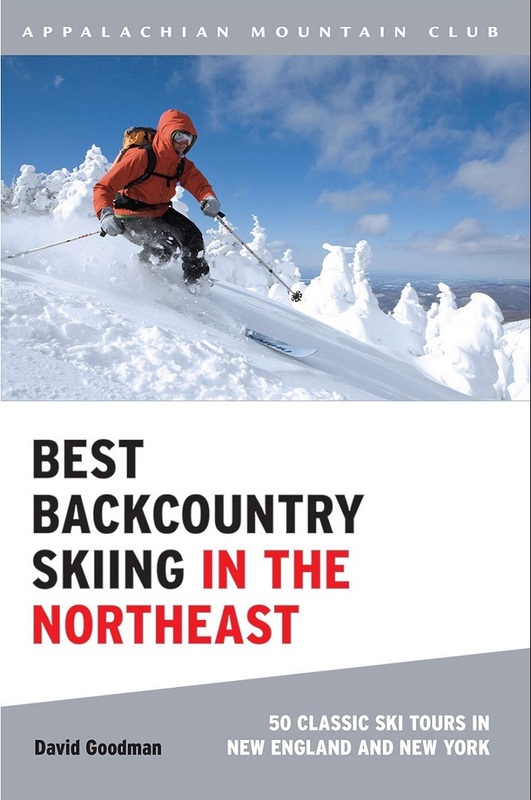 Best Backcountry Skiing in the Northeast is the guide book for ski touring of all kinds in the Northeast. Whether you free your heel or keep it locked, prefer skins or fish-scales, enjoy plastic or metal edges, there are options for everybody. 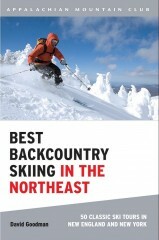 Split up into 5 sections based on state, the book highlights the best backcountry terrain in New England. Written by David Goodman. Definitely not your typical backcountry skiing guide book, as the author is not your typical guide book author: David Goodman is a 'real" writer who mainly writes on "real" topics (often with his sister Amy Goodman, whom you might have listened to on NPR affiliates while driving to and from your ski outings). This guide book also has some impressive historical pedigree, as the first edition was published in 1989, back when backcountry skiing was a very obscure activity in the Northeast. And still, whenever backcountry skiers in the Northeast refer to "the Goodman book" we all immediately know what is being referenced. All of this manifests itself in writing that would qualify as good writing in any context, coupled with a treatment of the historical background for many of the trails that will interest you even if you have no interest in actually going on any of these tours. The downside is that as shown in the picture here of the covers from the first and second editions, definitely at its heart still an old school tele hippie focus. With all your modern gear from Skimo Co, actually going on some of these tours will have your wondering "Wait, that's it?" especially after such enticing write-ups. So if you're new to the sport in the Northeast, a must-read (and "back in the day" my wife and I would even bring photocopied sections into the field with us), but just keep your expectations realistic.